First of all, Happy St. Patrick’s Day! Secondly, it’s Monday…which means another race weekend is in the books. 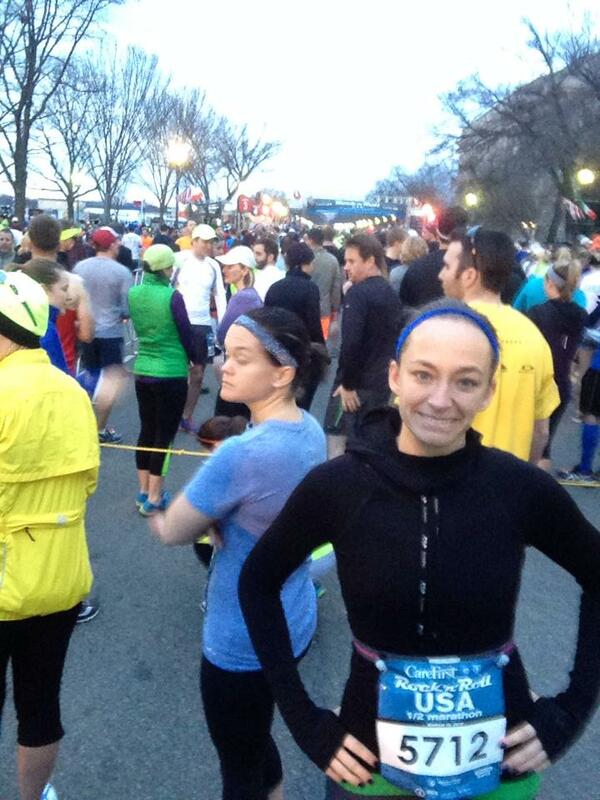 This time it was the Rock n’Roll USA Half Marathon in Washington, D.C. which took place on Saturday, March 15. What a race! Let me preface this one with the training plan. I followed CoolRunning.com‘s Intermediate Half Marathon Training Plan. It was a plan that was heavy on the mileage (my long run was 15 miles), but with long recovery periods. I’m impressed with how it worked out, but was very tired by the time I was ready to taper. But, it gave me results – we’ll get there later! John and I headed down to D.C. on Friday morning, excited to check into our hotel and to check out the race expo, which we had heard so much about. We were pumped! Traffic was smooth and there were no hiccups. Our room was ready at 10am (can’t beat that!). From there, we hopped on the Metro and headed for the D.C. armory for the expo…Wow! First of all, we could tell the race was organized. Bib pickup was sectioned off by corral (John was registered for 1, I was in 5, but he ended up running with me due to an injury). It was quick, no lines and efficient; you can’t ask for more when there are 25,000 people who all have the same objective as you. From there, we checked out the vendors. There were lots of free samples, we won 3 t-shirts each, learned about new races to check out and enjoyed networking with other runners who would be joining us at the start the next day. The positive energy was contagious and we were ready to go! Dinner that night was a hearty (gluten free!) pasta dish from Toscana Cafe downtown. From there we headed back to the hotel and got ready for the next morning. Saturday morning, we woke up bright and early and left the hotel by 5 a.m. for our 7:30 start. 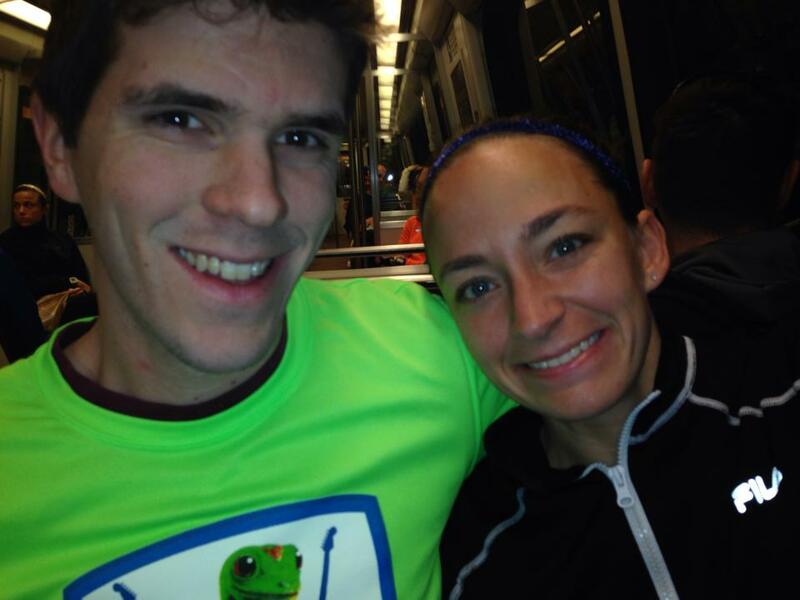 The metro opened 2 hours early to allow runners to make it to the start. This meant the ride was great as we were all heading in the same direction. Even though I’ve been a part of the running community for awhile now, the camaraderie always amazes me! We hopped off at the Smithsonian, and followed the throngs of people toward the hundreds of porta-potties (no shortage here!) and the clearly marked UPS gear check. The process was seamless. From there, after some striding and stretching, we headed for the start. It was amazing to come up over a hill, to look down and to see thousands of runners. Music was playing, the energy was just right and we found our corral easily. The course itself was fantastic; mostly flat with one LARGE down and uphill around mile 6; but, you know what? That was fine, because the crowd support was amazing! From hundreds of signs to spectators along the whole course, energy was great. Bands were playing around every mile marker and St. Pattie’s Day front stoop parties were happening throughout the course, complete with cowbells and enthusiastic spectators. It doesn’t get much better than that. Mile markers with clocks marked every single mile, and text message updates were sent to families at the start, 5k, 10k, 10-mile and finish for a small $5 fee. To me, that was worthwhile. I knew my time was pretty good…I felt strong and knew I was heading for something good at the finish. I was right; my official finish time was 1:45:12…a personal record. My only complaint? My GPS and that of others clocked us in at 3.31 miles…a little long. The finish line festival was excellent…with bands, lots of refreshments – Gatorade, chocolate milk, oranges, Larabars, pretzels, water and more. I need to be honest here. A lot of you read my concerns, especially after my last half attempt. This time, I felt great at the finish. However, about an hour later I did crash again. This time, my body temperature hit 95.2 degrees (just above hypothermia) and my pulse oxygen level dropped. 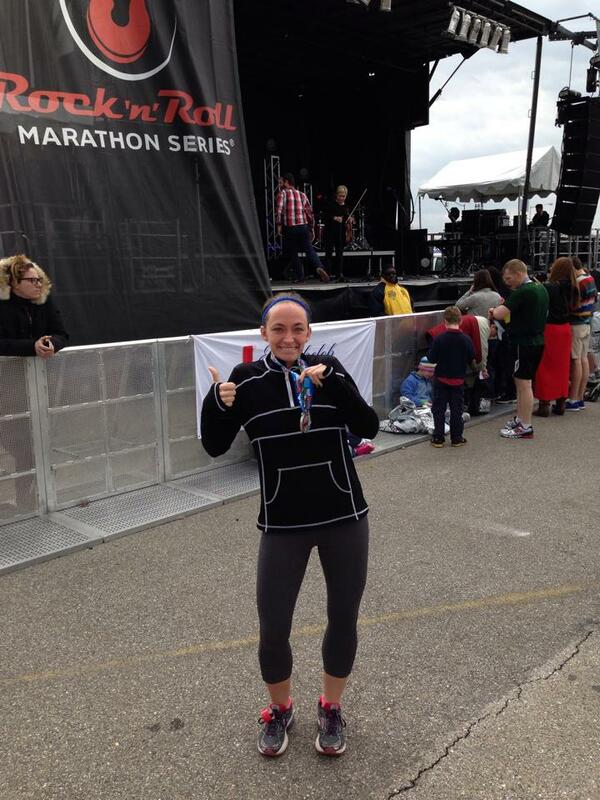 Because of this experience, I can speak to the professionalism and expertise of the medical staff at the finish. They were great and got things figured out as quickly as possible. (yes, this also changes my plans for things like full marathons but we’ll get into that another day!). For now, I am proud of my finish. I felt strong and did better than I ever anticipated. I was reminded of what a gift an active lifestyle is, and had tears at my finish because I learn a little more each day that we define our own limits and that the only thing that holds me back is myself. I’m proud of where I’ve come from, and I can’t wait to see what’s ahead on this crazy fitness/wellness journey! Just as importantly, the race itself was fantastic and well-organized and I look forward to doing another Rock n’Roll event in the future! Interested in a little push? Something to train for? Check out one of their Tour Stops and sign up today! 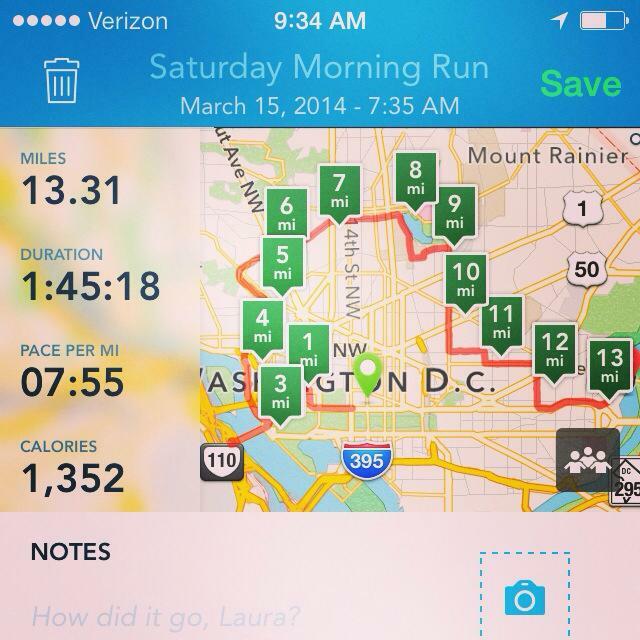 Some half 5k’s, half marathons and full marathons…go for it! I know I will again!